The next in the series of successful superyacht launches for a highly experienced owner. 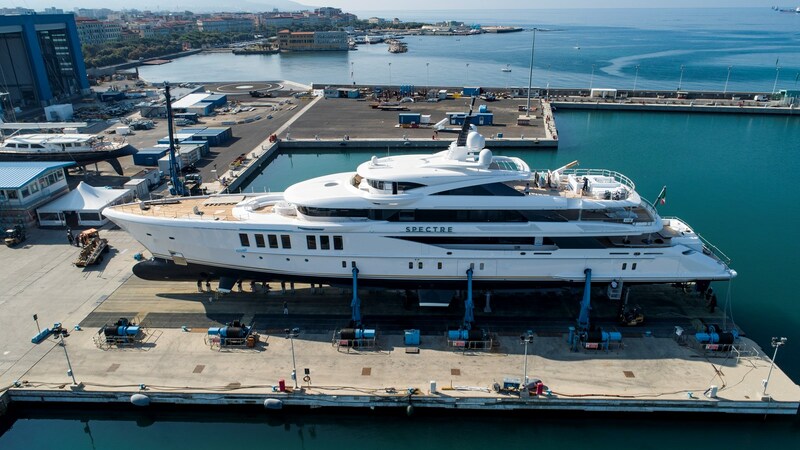 69m Spectre hit the water at Benetti Shipyard in Livorno this summer and looks set to win high praise on the superyacht scene. An elegant, sleek hull, is complemented by spacious guest areas, with sophisticated interior styling and plenty of features that will make her the envy of any quay. For further information contact our team.